The Best Kids blogs from thousands of Kids blogs for Parents on the web using search and social metrics. Data will be refreshed once a week. Also check out Kids Podcasts and Kids Youtube Channels list for Top videos on Kids. Kids newsletter is a comprehensive summary of the day's most important blog posts and news articles from the best Kids websites on the web, and delivered to your email inbox each morning. To subscribe, simply provide us with your email address. United States About Blog Kids Activities is a blog by Holly Harner based in United States which is a place where you can find inspiration and realistic ideas for more fun. Kids Activities Blog has kids crafts, kids activities and fun things to do with kids along with tips and tricks for parents. Facebook fans 3,347,340. Twitter followers 21,268. Dallas, TX About Blog Pre-K Pages is a resource site for Pre-K and Preschool teachers offering activities, printable lesson plans, and themes for learning in your classroom. One can network with other early childhood pre-k, preschool, or kindergarten teachers and share ideas. Facebook fans 967,567. Twitter followers 13,843. NE Iowa About Blog Hands On As We Grow is all about learning to do hands on activities with your kids and Jamie shares a lot of practical, easy activities, and sneak in learning opportunities whenever she can. You’ll find crafts, art projects, gross motor activities, and fine motor activities regularly on the blog. Facebook fans 281,202. Twitter followers 10,486. About Blog FunnyChild247 is an Animated Stop Motion series about the superheroes characters. Facebook fans 29,717. Twitter followers 4,739. Worldwide About Blog Activity Village offers teachers, parents and children from all over the world over 10,000 pages of free children's activities - simply explore, enjoy, make and print! You will find coloring pages, kids crafts and printable activities for children including puzzles, sudoku for kids, educational resources, homeschool resources and much more! Facebook fans 167,815. Twitter followers 1,278. Toronto, Ontario About Blog The Super Simple Learning Blog provides easy-to-teach, easy-to-learn educational resources for kids and those who care for them. Facebook fans 261,733. Twitter followers 5,650. DAB across the UK About Blog The UK's children's radio station for kids, families and parents. Listen on DAB Digital Radio nationwide, online and mobile. Facebook fans 7,039. Twitter followers 7,473. New York About Blog The B&N Kids is a book blog for kids based in the US which is a celebration of children's literature, from picture books to middle grade and back again. Facebook fans 975. Twitter followers 4,671. About Blog Totschooling is a blogging mom to a toddler and a preschooler, sharing ideas and resources for early education. On her blog, you will find free printables for toddlers, alphabet games, counting, puzzles, pre-writing, scissor skills, math & literacy. Facebook fans 65,941. Twitter followers 2,348. Connecticut About Blog Jill Castle is an American children nutrition expert. An author, speaker, consultant, blogger and podcaster with expertise in pediatric nutrition. In this blog, Jill podcasts to inspire you to feed and nourish your child, inside and out and gives child's nutrition tips for maintaining your kid's health. Facebook fans 5,605. Twitter followers 10,867. San Diego, CA About Blog Positive Discipline is a program based on the work of Alfred Adler and Rudolf Dreikurs and designed to teach young people to become responsible, respectful and resourceful members of their communities. Facebook fans 221,640. Twitter followers 1,973. USA About Blog Babiekins is a Kids Fashion Magazine Based in the United States for the trendsetting parents and kids. They search everywhere for inspiration, and go beyond trends to bring you fashion, style, decor, design, books, DIY, parties, and playthings. Facebook fans 26,008. Twitter followers 10,572. Washington DC About Blog The Safe Kids blog covers a wide range of safety topics, offering valuable tips for parents and caregivers to help you keep your kids safe. In addition, you'll find personal stories shared by parents, insights for new moms and dads, ways to get involved and take action, and more. Facebook fans 1,356,047. Twitter followers 76,962. Western North Carolina About Blog Jean Van't Hul is a writer, mother of two, and children's art enabler. She shares ideas, information, and inspiration to encourage people to enjoy and share art with the kids in their life at The Artful Parent Blog. Facebook fans 702,858. Twitter followers 5,043. San Francisco, CA About Blog Pottery Barn Kids provides casual furnishings, textiles, toys & accessories designed to delight and inspire the imagination. They are determined to show their customers just how easy it can be to bring style and inspiration to every room in the kid-friendly home. Facebook fans 1,165,016. Twitter followers 29,795. About Blog Crafty Morning is a great resource to find creative kids crafts, DIY projects, recipes, and more. Facebook fans 3,837,244. Twitter followers 1,614. Iowa About Blog Teaching Mama is a education blog, dedicated to sharing hands-on learning activities for children, particularly toddlers and preschoolers. Angela shares sensory play ideas, ways to keep toddlers busy, preschool learning activities, printables, and thoughts on motherhood. Facebook fans 125,089. Twitter followers 2,171. Portland, OR About Blog Playful learning activities for toddlers and preschoolers and advice for their parents. Facebook fans 866,075. Twitter followers 5,405. UK About Blog In this site, you will find plenty of ideas for art and crafts, imaginative play, creativity, science investigations, early maths ideas and LOTS of fun. She hopes, readers will be inspired with hundreds of ideas for creative play and learning for kids. Facebook fans 839,282. Twitter followers 9,748. Boston, MA About Blog The mission of the International OCD Foundation is to help everyone affected by obsessive compulsive disorder (OCD) and related disorders to live full and productive lives. Our aim is to increase access to effective treatment, end the stigma associated with mental health issues, and foster a community for those affected by OCD and the professionals who treat them. Facebook fans 17,934. Twitter followers 10,266. Palo Alto, California About Blog DrGreene is dedicated to using information technology to make pediatric wisdom more accessible than ever before. Their goal is to inspire parents to become knowledgable partners who can work with their kids physicians to improve kids health. Facebook fans 8,548. Twitter followers 21,952. About Blog This site will make it easier for you to prepare hands-on learning activities and fun things to do with your kids at home and in the classroom. Facebook fans 128,433. Twitter followers 3,114. USA About Blog Budsies creates custom plush figurines from your drawings, photos of pets, and photos of people. In their blog, you will find articles on arts and craft, education, creative quiz and other topics for kids. Facebook fans 114,786. Twitter followers 2,915. Bangalore,India About Blog Artsy Craftsy Mom is one of the top Indian hobby, art and craft blog for kids. Shruti Bhat is an author, blogger, entrepreneur, occasional DIYer and an often overextended mom to a beautiful girl. Facebook fans 64,534. Twitter followers 3,489. UK About Blog Science Sparks is a huge resource of FREE, fun, inspiring and creative science experiments for kids of all ages. It is an education blog full of fun and exciting science activities for kids. Facebook fans 134,589. Twitter followers 7,169. Canada About Blog A mother of 7 candidly sharing her journey to find joy amidst the chaos of everyday life. I hope that this will be a place where people can be their true “mismatched socks because there weren’t any clean ones” selves! Join me in trying to find the blessings and joys hidden in among the chaos and the clutter. Facebook fans 29,215. Twitter followers 3,677. California About Blog TinkerLab is the leading blog for making, tinkering, and raising creative kids. It allows you to share ideas for projects that foster creativity, critical thinking, exploration, and tinkering. The blog includes art projects for Kids, Science Experiments, and all things creativity. Facebook fans 308,342. Twitter followers 4,718. Cincinnati, Ohio About Blog Growing Hands-On Kids is a blog where they encourage independence, one activity at a time. Heather is a Certified Occupational Therapy Assistant turned homeschool mom blogger. She enjoys sharing hands-on activities for kids, homeschooling tips for particularly babies, toddlers, and preschoolers. Facebook fans 28,601. Twitter followers 3,552. Kansas City About Blog Edventures With Kids keeps kids curious, creative & connected to the world around them and helps parents, educators, caregivers by providing online resources that include kid activities, family travel ideas, fun ways to learn and guides to Kansas City attractions. Facebook fans 10,723. Twitter followers 6,641. Denver, Colorado About Blog Melissa is mom, former elementary teacher, literacy trainer, and writer who loves reading, writing, & kids books. Imagination Soup share fun learning ideas, activities, and book reviews for kids. Facebook fans 24,375. Twitter followers 30,674. Connecticut About Blog At Art Bar, Bar Rucci will showcase the most creative artists, curate the best crafts for home and classroom and share creations from her kids and her studio. This blog is a place where she cultivates her love of art experiences and share simple tips and ideas to bring creativity into readers lives. Facebook fans 139,272. Twitter followers 539. LA About Blog Meri Cherry Blog is an arts and crafts blog for kids and their families. At the blog, you can find art, teacher crafts, and DIYS for kids and adults. Facebook fans 47,533. Twitter followers 361. New York About Blog Their goal is to give Cute Kids the opportunity to fulfill their aspirations. One of the ways they do this is through their Cute Kid Photo Contest, which helps kids enter the modelling and talent professions safely, effectively and affordably via contacts with our industry pros. Facebook fans 1,001,576. Twitter followers 6,016. United States About Blog Kids With Food Allergies (KFA) is a division of the Asthma and Allergy Foundation of America (AAFA) which tries to improve the day-to-day lives of families raising children with food allergies and empower them to create a safe and healthy future for their children. Facebook fans 98,847. Twitter followers 11,213. Wellington, New Zealand About Blog WCL has over 600,000 books, 450,000 magazines, and 85,000 CDs, DVDs, videos and other items at their central library and 11 branches. The Library includes number of educational and entertaining articles for kids and teens. They post heaps of interesting stuff, like what’s on for kids, great books, and gross facts. There is lots of other interesting stuff like reviews, cool internet links, and help with homework. Facebook fans 4,322. Twitter followers 4,957. United States About Blog Design Dazzle is a US based kids decor blog which shares fabulous design relating to babies, kids and teens. They feature kids parties, decor ideas, DIY projects, baby nurseries, awesome kids rooms, crafts and more. Facebook fans 41,043. Twitter followers 9,115. Bettendorf, IA About Blog Your home for honest and insightful reviews by stay-at-home-moms (and a couple dads) about products you want or need for your family. SahmReviews.com provides real, authentic, honest and engaging story-based reviews of products and services of interest to kids and families. Facebook fans 12,302. Twitter followers 20,466. About Blog A parent's guide on how to raise a smart, bright and intelligent child - from baby, toddler, preschooler and school kid to teen. Facebook fans 2,752. Twitter followers 182. Vancouver, BC About Blog Hello Creative Family believes that Creative parents raise creative kids therefore they help parents ignite their creative spark so they can raise their kids in a homemade, handmade, heart-made home. It is the go-to resource for parents looking to ignite their creative passion with simple, everyday and back-to-basics projects. Facebook fans 20,552. Twitter followers 7,299. Australia About Blog Laughing Kids Learn is a blog by Kate. It gives creative ideas about fun and educational activities that can be simply done at home with kids 0 - 10 years old. Facebook fans 73,999. Twitter followers 1,886. US About Blog Inner Child Fun is a a group of sites made up of a wonderful team of editors and writers from across the U.S. dedicated to the power of play. It provides with Crafts & activities for kids or the kid in you. Valerie is a blogger, crafter and and creative play advocate. Facebook fans 53,044. Twitter followers 7,137. Facebook fans 5,733. Twitter followers 4,581. Amherst, MA About Blog Making Art With Children blog shares different creative arts that cane be done at home with kids. The Eric Carle Museum of Picture Book Art inspires families, art aficionados, and book lovers with rotating galleries of picture book art from around the world. Facebook fans 63,515. Twitter followers 12,846. Madison Wi About Blog Welcome to Marcia Beckett's little corner of artsy inspiration for art teachers, parents and kids. Facebook fans 1,977. Twitter followers 249. San Luis Obispo, CA About Blog Supercharged Science Blog has been Teaching Homeschool Science the Easy Way. It provides readers with various homeschooling techniques and trends. Supercharged science is a hands-on, cutting edge science education company for K-12 students. Facebook fans 69,490. Twitter followers 1,273. Butler, PA About Blog Rock Your Homeschool is dedicated to helping homeschool moms enjoy what matters most. Find tips, resources, & support to help you find & use creative solutions to manage your time so you can enjoy learning fun with your kids. Facebook fans n/a. Twitter followers 2,698. Everywhere About Blog Homeschool Tracker is a flexible, all-in-one, online tool for planning, organizing, and managing your Homeschool. It is planning and organizing software designed to adapt to your particular homeschooling style in a simple yet sophisticated way. On their blog you can learn about the latest product enhancements, homeschooling tips and tricks, and techniques. Facebook fans 4,539. Twitter followers 507. New York About Blog Playful Learning Academy offers bite-sized online classes for kids and their grown-ups designed to help families all over the world learn and grow together. Facebook fans 258,444. Twitter followers 4,067. Worldwide About Blog National WMU engages churches and people in missional living by providing resources, opportunities, and experiences that serve God’s mission. Facebook fans 11,520. Twitter followers 1,111. Seattle About Blog Thomas Hobson is a preschool teacher, writer, artist and the author of "A Parent's Guide To Seattle." Teacher Tom is a blog about teaching and learning from preschool kids. Facebook fans 65,257. Twitter followers 4,601. Chicago About Blog Family Law Rights gives you all the information on Divorce, Child Custody, Child Support, Family Law Rights and much more. Facebook fans 6,679. Twitter followers 3,487. Land of Lincoln About Blog The Preschool Toolbox provides Educational Learning and Play for kids between 2-7 years of age. It has created valuable learning tools that contain information for teachers, childcare providers, and parents at home who want fun and educational activities for their young children. The Preschool Toolbox Blog welcomes you to explore activity suggestions for your classroom or for use at home. Facebook fans 35,742. Twitter followers 12,683. Tennessee About Blog Visit This Girl's Life Blog if you are looking for simple craft ideas, diy tutorials for easy decor and furniture projects, yummy family recipes and so much more. Crafting With Kids category of the blog provides simple craft topics for kids. Facebook fans 12,487. Twitter followers 40,282. Lake Forest, CA About Blog Ellison Education empowers education with die cutting machines, curriculum-based dies, and lesson plans. The blog helps to create memorable visuals and essential hands-on activities for all ages and stages of K-12 student education and provides fun free lesson plans. Facebook fans 6,215. Twitter followers 582. Seattle, WA About Blog The Home Scholar Helper blog is your daily source of homeschool wisdom & advice. Lee's mission is to help parents of kids from high school with an eye toward college admission and scholarships and helps parents prepare their children for life. Facebook fans 31,130. Twitter followers 6,434. Michigan About Blog Homeschool Your Boys is a blog by Michelle who is based in the United States, has been a home school mum for 13 years to her two sons. She writes regularly on her blog to encourage other homeschooling families in their roles as parents and teachers as well as to share tips to help parents inspire and enjoy with their kids. Facebook fans 7,653. Twitter followers 10,774. Chicago, IL About Blog Craft Paper Scissors is a blog with all the craft project ideas, tutorials, videos, and tips you'll ever need. They have 1000's of free craft projects, home decor ideas and DIY tips and add new projects and tips every day. Facebook fans 501,990. Twitter followers 35,356. Minneapolis, MN About Blog The Kitchen Pantry Scientist provides simple recipes for real science. Liz Heinecke, Mom of 3 and a Science Communicator, brings you simple recipes for science on her blog. One can practice her simple science recipes at home along with kids. Facebook fans 2,211. Twitter followers 5,292. Tamil Nadu, India About Blog Flintobox is a theme-based monthly discovery box for 1.5 - 8 year olds, designed to engage children in a meaningful way at home. They transform daily routines for kids into meaningful learning for kids. They share Craft Ideas for Kids and Parenting Tips. Facebook fans 294,631. Twitter followers 3,378. About Blog Healthy Church KIDS blog was created to equip and empower Kidmin leaders so they can cultivate healthy disciples and grow healthy ministries. The posts are written by practicing Kidmin leaders who value a Spirit-led perspective to children’s ministries. Facebook fans 271. Twitter followers 278. NSW About Blog In Kid Magazine, the bi-monthly digital magazine and daily blog you will find best and latest products for kids and mums, exclusive features from industry experts and stories from other real mums. Facebook fans 10,946. Twitter followers 1,327. Johannesburg, South Africa About Blog I originally wrote this blog for myself alone, as a cathartic exercise.The Narcissist's Child contains my experiences as the child of a malignant narcissist and my understanding of the disorder. A blog about life with and the legacy of a personality disordered mother. USA About Blog Hooligans is a progressive magazine featuring children's fashion, art and design. They are also highlighting innovative products, the best in interior design and art- all for children. Facebook fans 7,023. Twitter followers 1,024. Duluth, MN About Blog Outside In Duluth is a blog about enjoying quality outdoor experiences with kids in and around Duluth, MN. Facebook fans 3,058. Twitter followers 94. Colorado Springs About Blog Allergic Child is a home for managing food allergies and living a full life. Its mission is to find a cure for food allergies. In the meantime, they want to help you and your child learn to increase awareness of food allergies and learn how to advocate. Facebook fans 11,988. Twitter followers 2,681. Hope, Maine About Blog Homeschoolers of Maine(HOME) is a volunteer based ministry founded in 1990 by Ed and Kathy Green. The mission and purpose of HOME is to support homeschooling families in their God-given and constitutional right and responsibility to oversee the education of their children. Facebook fans 3,564. Twitter followers 107. California, USA About Blog Here you’ll find all the information from the perfect gift for a future vocabulary-boosting games to unique thanksgiving crafts from teething toy round-ups. Facebook fans 8. Twitter followers 90. United States About Blog The Merka Learning Club is a US based community of passionate parents, teachers, grandparents and anyone that want's to learn new and exciting ways to teach our children. They provide Educational Tips on how to teach our children in a better, more fun and exciting way. Facebook fans 606. Twitter followers 12. Melbourne, Australia About Blog The purpose of Whole Kids Blog is to help make it easier for mums and dads to create happy, healthy lives for their kids. At Whole Kids, they believe in healthy kids and a healthy world. So, they make their yummy snacks without any artificial preservatives, colours, flavours or other added nasties. Facebook fans 30,967. Twitter followers 1,579. Lincoln, NE About Blog Whether you are a parent, grandparent, guardian, child care professional, babysitter, teacher, or just a caring adult involved in the lives of kids, TLC is committed to provide you with research-based strategies to help you support the development and success of kids. Their blog is meant to connect adults who play a role in young children’s lives to information and resources about early child development. Facebook fans 959. Twitter followers 553. Australia About Blog Live life with your Kids comes with the message that parenting is about relationships with our kids, about teaching and training the heart, about using the whole of life to teach character, wisdom and life skills to our kids. Whether you are homeschooling or not, you need to be disicpling our children, living life with them with the goal of passing on values from one generation to the next. Facebook fans 1,901. Twitter followers 246. About Blog The purpose of Animated Kid blog is to speak about Animated films, companies, figures in Animation, Television, and everything about Animation. About Blog Speak Now For Kids blog breaks down issues surrounding child advocacy and children's health care and how they impact kids. Here you can also find useful information on children's hospitals, Medicaid and other programs for bringing up a healthy child. Facebook fans 8,497. Twitter followers 8,817. About Blog A blog which offers book reviews for young people of preschool to high school ages by a children's librarian with decades of experience in reading guidance. Brownsville, TX About Blog Keep up with Funko POPs, toys, plush, action figures, backpacks, lunch boxes, and other kids products. Facebook fans 3,681. Twitter followers 115. About Blog Eggs Time for Surprises with King Egg, MagiK Egg, Lucky Egg, Happy Egg, Emoji Egg. Facebook fans 82,555. Twitter followers 301. Estonia About Blog Kirsi is a professional children's fashion stylist and blogger, but mostly a fulltime mom of two soccer boys. This blog is made to gather inspirational kids wear, kids furniture, kids books, kids design brands etc. Facebook fans 4,983. Twitter followers n/a. Facebook fans 6,149. Twitter followers 973. Manhattan About Blog Smarter Toddler is a warm, community-oriented learning environment. Music, movement, literacy, visual arts and dedicated staff which helps to stimulate adults and kids. Facebook fans 455. Twitter followers 294. About Blog Everything about Growing Kids was created with young children and their parents in mind. Their blog provides help to parents suffering from the non-excitement of preschool. Facebook fans 3,383. Twitter followers n/a. Waco, TX About Blog Young Chefs Academy is the leading national cooking school for children who aspire to be a chef. They teach thousands of children across the world that cooking can be quite creative, full of discovery, and a whole lot of fun. Facebook fans 3,204. Twitter followers 425. Australia About Blog Alphabet Soup was originally an Australian magazine for kids, now a website blog for kids who love reading & creative writing. Facebook fans 981. Twitter followers 1,031. Asia, Europe, N. America About Blog The Missions Blog is focused on church planting among the unreached. They seek to share articles that will inspire, motivate and challenge goers and senders alike. On this page, you'll get updates on what God is doing around the world and resources to help you and your church participate in this work. Facebook fans 11,604. Twitter followers 5,342. New York, NY About Blog Bash & Co. is a place for us to share some of our family adventures, styles we like, and tips and tricks we’ve picked up along the way mostly through trial and lots of error, but that’s parenting. Facebook fans 109. Twitter followers 1. Hillsborough, NJ About Blog Kid PT is a therapy practice dedicated to providing children and their families support & achievement along their journey. They provide physical therapy and occupational therapy in a variety of settings, including their clinic as well as other settings, such as home and daycare centres. Facebook fans 526. Twitter followers 1,972. Mysore, India About Blog Kidvento Education and Research Private Limited is an education technology company developing innovative education products and programs for students and schools. Kidvento is founded in the year 2017 and growing fast by providing hands-on education for more than 15000 children across India. Facebook fans 986. Twitter followers 3. About Blog This blog is written by a mother to 4 wonderful boys, 3 of which have Type 1 Diabetes. Through this blog, she hope to share her ongoing story, to help others see that there is always a light at the end of the tunnel. Facebook fans 275. Twitter followers 4,016. About Blog This blog is a vault of thoughts and, of course, the daily adventures of life with Tessa and the rest of their family. Here you will read much about the life with Tessa and how her Down Syndome has made a big impact on all of them. Facebook fans 3,063. Twitter followers 163. Philadelphia About Blog Art Sphere works with communities to promote individual & civic empowerment through art education & murals. Facebook fans 655. Twitter followers 302. About Blog KCW is a seasonal sewing challenge. Kid’s Clothes Week gets you to sit down in front of your sewing machine and sew a little, then maybe a little more. This momentum feeds your creativity: the more you sew, the more ideas come to you, the more you want to sew! Facebook fans 3,993. Twitter followers 647. Edinburgh, Scotland About Blog Cooking with my kids is full of recipes showing you how to cook with your children. With lots of pictures and advice your toddler can become a budding chef. Facebook fans 427. Twitter followers 343. Outside of Nashville, TN About Blog Raising Jack With Celiac is a blog by Kelly who started this blog to raise awareness of the disease and helping those newly diagnosed feel a sense of comfort knowing they are not alone on this journey. Facebook fans 4,992. Twitter followers 1,559. Fargo About Blog The photo blog and daily work of Fargo photographer Rialee Photography who specializes in newborns, children and family. Facebook fans 4,295. Twitter followers 109. Canada About Blog Rebecca Spooner spends her day homeschooling, planning in her beautiful traveler’s notebook and tries to seize every moment and share her chaos so that the readers feel right at home. Her blog provides Homeschool encouragement, curriculum reviews, free printables and more. Facebook fans 41,370. Twitter followers 12. Costa Rica About Blog A childs perspective of life in Costa Rica, including education, environment, hospitality, insects, fossils, foods, plants, birds, culture and family. About Blog Alissa is mom to three, practicing letting go of perfect and finding gratitude for the ordinary. This Blog provides simple activities and uncomplicated parenting ideas so you can enjoy your kids. Facebook fans 191,522. Twitter followers n/a. About Blog These are the blogs of a small blonde bear. Currently living quietly, but with big plans. Follow Abigail and her adventures by signing up for her blog. Abigail would like some new friends. Facebook fans 177. Twitter followers 109. UK About Blog My Transgender Kid Blog is a blog by Mitzie and Heather who share their experiences and struggles of raising a transgender kid. About Blog Bianca Birdsey is a mother of three deaf daughters. Her desire is to share her experiences with you in the hope that it may encourage parents, challenge professionals and just shed light on the journey of a family with deaf or hard of hearing children. Facebook fans n/a. Twitter followers 75. About Blog Itchy Little Monkey gives solutions for kids with eczema. Here, they share allergy freindly recipes, tips for itchy skin, combined with a refreshing change for bed-time routines through our story books and much more. Facebook fans 2,537. Twitter followers 658. Halifax, Nova Scotia About Blog A Nurtured Life is a blog sharing stories of parenthood, family and natural living. here, you will find articles answering a multitude of questions on teething, cloth diapers and great gifts for ages 0-8. Facebook fans 4,410. Twitter followers 2,219. Melbourne About Blog The Melbourne Kid is a directory listing for families and kids in Melbourne. Find out what's happening in Melbourne every day, places to eat, play and disover Melbourne. Facebook fans 16,909. Twitter followers 319. About - My name is Holly Homer. I hope Kids Activities can be a place where you can find inspiration and realistic ideas for more fun. Kids Activities Blog has kids crafts, kids activities and fun things to do with kids along with tips and tricks for parents. About - Safe Kids Worldwide is a global organization dedicated to preventing injuries in children, the number one killer of kids in the United States. The Safe Kids blog covers a wide range of safety topics, offering valuable tips for parents and caregivers to help you keep your kids safe. In addition, you'll find personal stories shared by parents, insights for new moms and dads, ways to get involved and take action. About - Pre-K Pages is a resource site for Pre-K and Preschool teachers offering activities, printable lesson plans, and themes for learning in your classroom. One can network with other early childhood pre-k, preschool, or kindergarten teachers and share ideas. About - Super Healthy Kids is an online resource for parents who are looking for ideas, recipes, and tips for feeding their kids healthier and living better. About - Red Ted Art's Blog provides easy, cheap and do-able crafts for both Kids and Grown Ups. About - Anna an early years specialist teacher and Mum to 3 young girls. She hopes, readers will be inspired with hundreds of ideas for creative play and learning for kids. About - Day Out With The Kids has been around for over 10 years now, and helps families to get out and about more, exploring and enjoying new adventures - whether that’s on your doorstep or packing up the car for a road trip. Since 2006, we’ve grown up a bit - we’re still big kids at heart though. About - Rebecca Spooner spends her day homeschooling, planning in her beautiful traveler’s notebook and tries to seize every moment and share her chaos so that the readers feel right at home. Her blog provides Homeschool encouragement, curriculum reviews, free printables and more. About - Kids in the Capital is an Ottawa-based parenting blog where you can learn about local activities, attractions, and events, as well as parenting tips and tricks. The key is that the content on Kids in the Capital is written BY parents FOR parents from a first hand perspective. About - A mother of 7 candidly sharing her journey to find joy amidst the chaos of everyday life. I hope that this will be a place where people can be their true “mismatched socks because there weren’t any clean ones” selves! Join me in trying to find the blessings and joys hidden in among the chaos and the clutter. About - Got kids in TOw? Kids in T.O. is a growing list of the best and newest family-friendly destinations in Toronto, Ontario, Canada. Posts are parent-researched, kid-tested and honestly reviewed by mom-of-two-boys Renee. About - Laughing Kids Learn is a blog by Kate. It gives creative ideas about fun and educational activities that can be simply done at home with kids 0 - 10 years old. About - Jenny Kable is an Early Childhood Educator, Children's Services Advisor and blogger at Let the Children Play. Her mission is to learn and grow as teachers by sharing inspiration and information about early childhood education and play based learning ideas. at her blog, she shares hundreds of ideas for outdoor play and learning, all in one spot to make searching simple. About - My name is Kylie and I’m a mum to two mini Kidgredients, Miss 7 and Master 5. I started Kidgredients to share what I am cooking with and for my family. About - Artsy Craftsy Mom is one of the top Indian hobby, art and craft blog for kids. Shruti Bhat is an author, blogger, entrepreneur, occasional DIYer and an often overextended mom to a beautiful girl. About - Flintobox is a theme-based monthly discovery box for 1.5 - 8 year olds, designed to engage children in a meaningful way at home. They transform daily routines for kids into meaningful learning for kids. They share Craft Ideas for Kids and Parenting Tips. About - Hi, I am Vaishali, a mother (and on-the-job-learner), a communication consultant and now a full time work-from-home mom. TCT is about motherhood, parenting, baby and child care. You can tickle your funny bone with some parenting humor or read emotional pieces which most of us (at some point) would relate to. 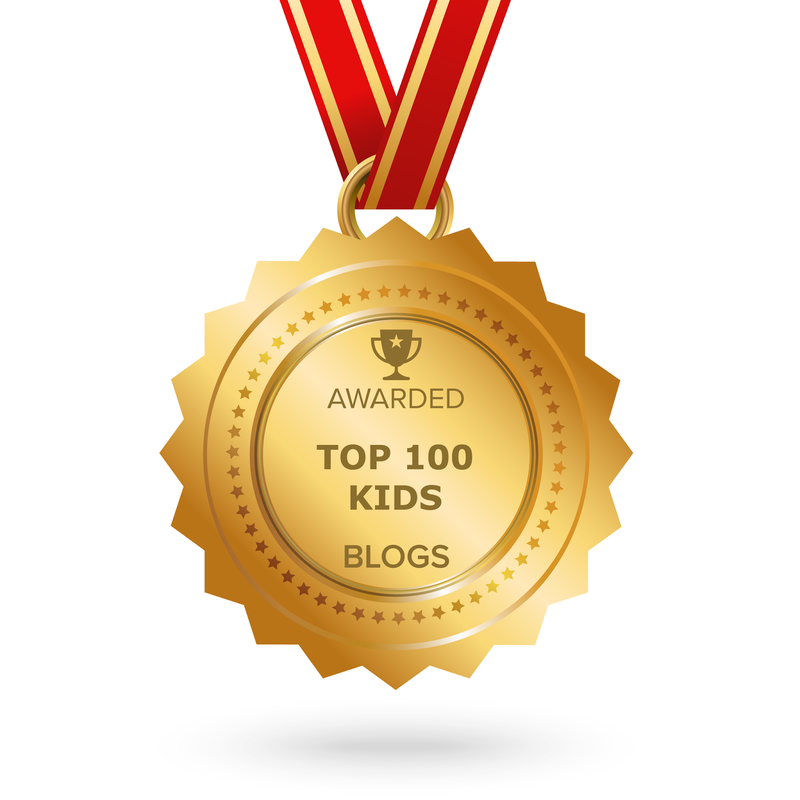 CONGRATULATIONS to every blogger that has made this Top Kids blogs list! This is the most comprehensive list of best Kids blogs on the internet and I’m honoured to have you as part of this! I personally give you a high-five and want to thank you for your contribution to this world.